Doing a rail slide on a skateboard is a pretty cool trick if you can pull it off. 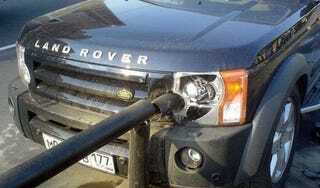 Trying it with a Land Rover, breaking the rail and impaling the big SUV all the way through? Less so.